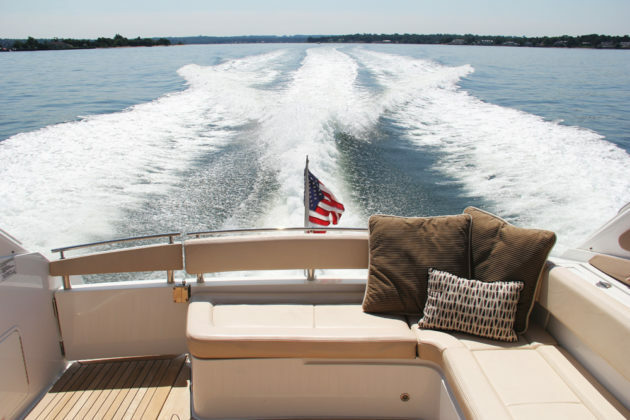 Sitting on the front deck sun pads of the Cobalt 46, one may gaze out across the bay, spying the blue sky that seems to alter color as it touches Manhasset Bay’s gentle wake, and feel a sense of serenity that only the quiet of slowly pulling out of Inspiration Wharf may bring. As the Long Island Boat Rentals charter yacht picks up speed, one might want to head to the seat situated on the bow to feel the wind in their hair or take in the views of the New York City skyline to the left and the greenery of the Port Washington coast to the right. 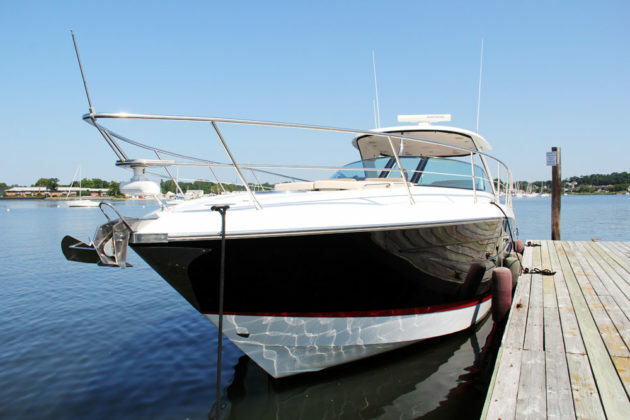 The luxury express yacht cruiser, complete with two full cabins, a hydraulic swim platform for easy access to the water, a barbecue grill in the cockpit and surround sound stereos, is one of the five rental boats that Long Island Boat Rentals offers to get residents and tourists out on the water in Port Washington. 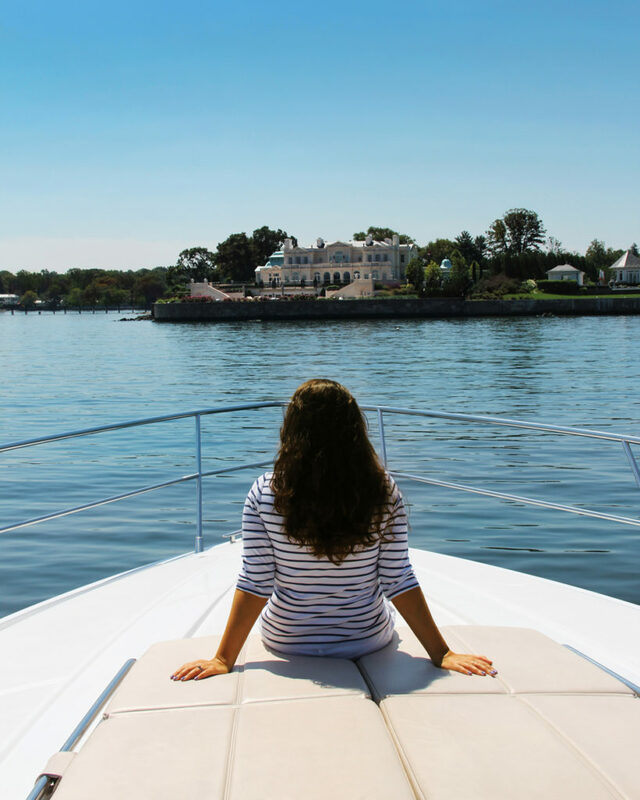 Cruising the bay: On board the Cobalt yacht as it sails around Manhasset Bay. The inside of one of the company’s beautiful boats. 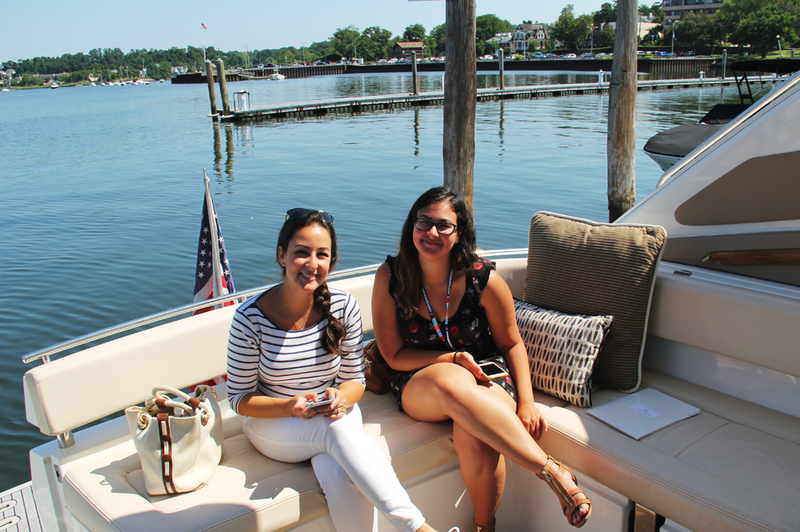 Anton Media Group editors Jennifer Fauci and Christina Claus enjoy day of luxury yachting. 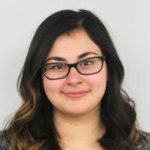 Gordon realized boat rentals were a thriving business when he went to visit a friend in California who had a sailboat that he would share with others. After being able to jump on the boat, go sailing, dock and get off without having to complete any maintenance or fuel the boat up, Gordon was impressed. However, it wasn’t until 2013 that Gordon decided to purchase Long Island Boat Rentals from the previous owner for his son, Christian. 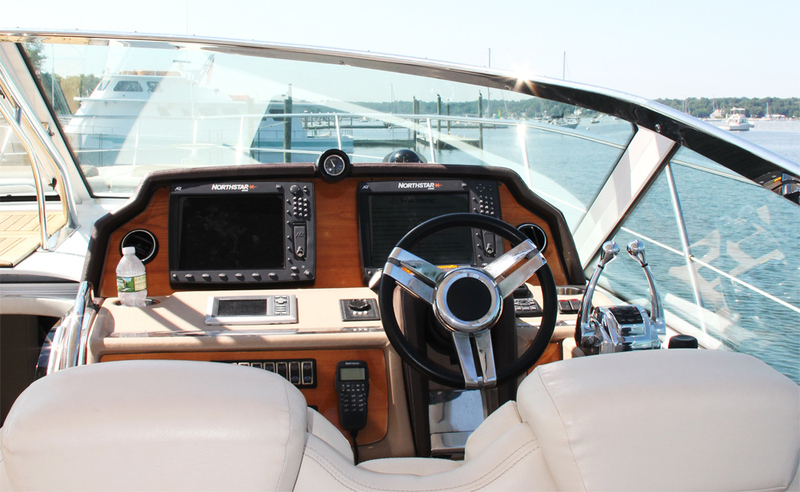 Before jumping on a boat, clients must either show Christian their competence of navigating the waters; take the accelerated safe powerboat handling or individual powerboat lessons offered by Long Island Boat Rentals; or pay the additional $50 an hour for a captain to accompany them out onto the waters. Christian explained that many renters enjoy having a captain because they don’t have to focus on driving the boat and can fully relax while the captain adds to the experience by sharing information about the area. 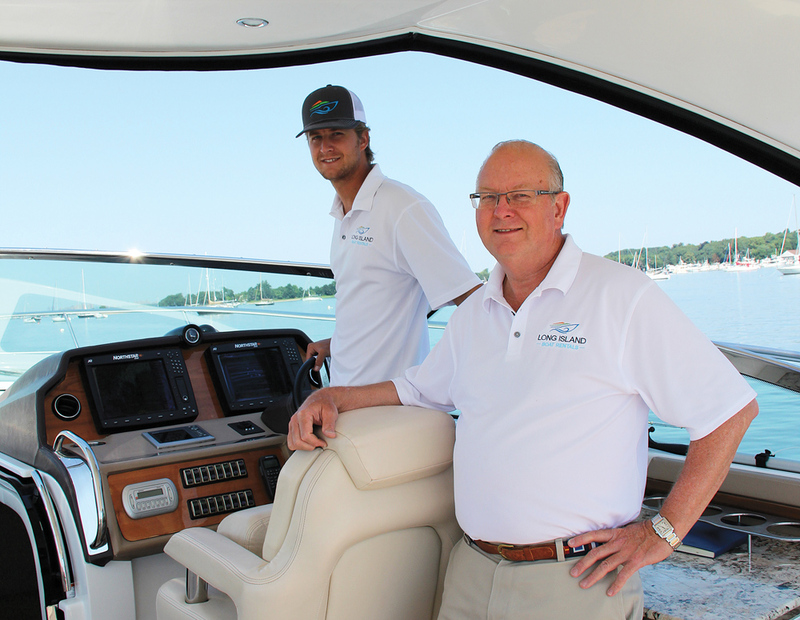 Bill (front) and Christian Gordon of Long Island Boat Rentals love giving people a unique boating experience. 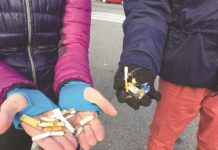 “I feel like I really get to know people when I go out with them on the water because they’re in a very comfortable environment,” says Christian. While some use Long Island Boat Rentals as a unique opportunity to entertain business clients, create a bonding experience between employees or propose to their future spouse, many use the company to sail around the bay for four to six hours to fish or simply take in the views of Sands Point and the exquisite homes it has to offer, similar to those in The Great Gatsby or the home used to film scenes in The Wolf of Wall Street. Long Island Boat Rentals operates from mid-April to late October, giving renters the perfect excuse to play hooky from work and bringing the people of Port Washington and the tri-state area the ability to get out onto the water to explore the areas around them. Execution Rocks Lighthouse has a fascinating history. Along with the company’s daily rental service, Long Island Boat Rentals recently began offering a commuter service to help residents skip traffic with a relaxing boat ride. Christian is looking to expand the commuter service by offering packages to Mets games, so residents can ride over to Citi Field, watch a matinée game and then get a scenic ride back. Long Island Boat Rentals offers a variety of opportunities to get out on the water in Port Washington. 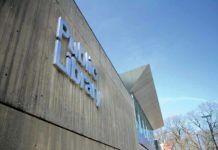 “We’re 20 minutes away from the hustle and bustle of the city, but you can get out here and feel like you’re somewhere else,” says Christian. A 40-minute ride on a Long Island Boat Rental can get renters a trip around to the Statue of Liberty and Manhattan, allowing for breathtaking views of the skyline and bridges. Christian usually takes locals over to the Liberty House in Jersey City where they get a view of the downtown Manhattan skyline while grabbing a bite to eat or taking in the scenic sights of Liberty State Park. 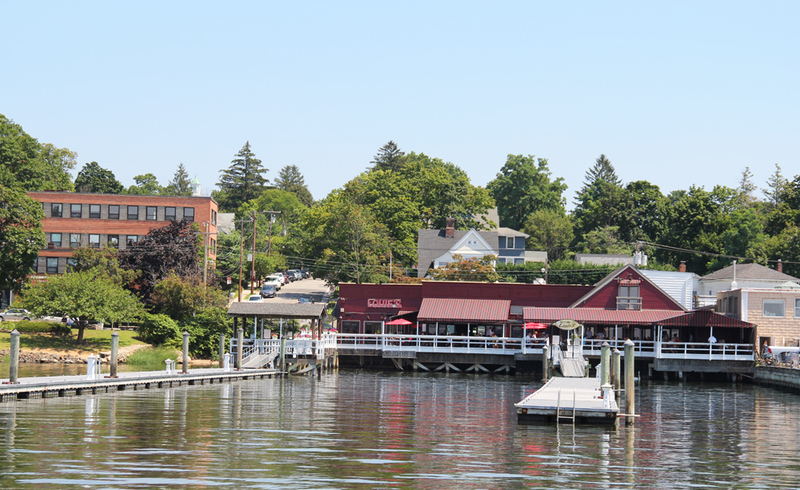 On a hot summer day or even a cool September afternoon, take five friends and head to the City Island Lobster House for three hours for a lobster tail plate or some jumbo shrimp scampi. Long Island Boat Rentals offers a City Island Lobster House deal during the week for lunch and a scenic 25-minute ride at $90 a person. 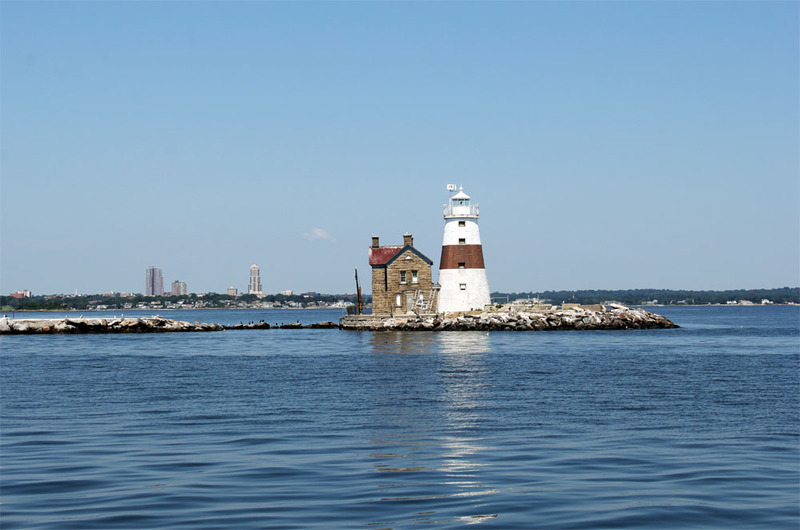 Hop on a boat rental for 50 minutes to Greenwich or an hour to Stamford’s waterfront. 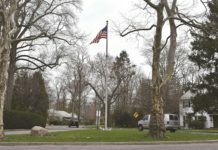 While in Greenwich, one can explore multiple parks and beaches; Stamford has rows of restaurants to offer including their own Prime restaurant. Mamaroneck is the perfect place for an adventure because boaters can dock and walk into town to visit restaurants like Bar Harbor Grill or Sedona Tap House.